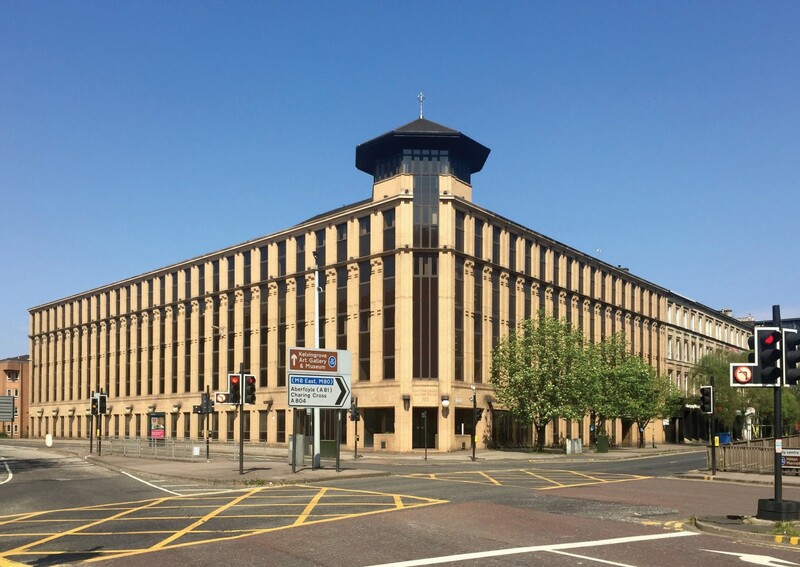 A 51,000sq/ft office block dating from 1989, formerly the headquarters of NHS Glasgow, has been earmarked for 71 flats under office to residential conversion plans filed by Young & Gault. 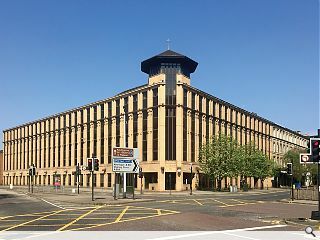 Dalian House has lain unoccupied since 2010 and no longer lends itself well to commercial use owing to the outmoded nature of the accommodation and a glut of new build accommodation nearby. It is named after the Chinese city of Dalian with which the city was twinned in 1987. This work will include creation of a 460sq/m green space above the existing basement car park and a 1.5m green ‘buffer’ to St. Vincent Street to provide a degree of privacy for ground floor occupants. A supporting statement read: “The building in its current un-occupied state has not provided the area with a positive contribution since it was vacated. The tendency where buildings particularly in urban residential areas like this are left unoccupied for a period of time afford the potential for vandalism and other criminal activities as the space is not naturally policed. A portion of the ground floor fronting North Street will be retained as possible office accommodation for small businesses. Living on the ground floor next to the motorway - bleak as anything. Knightswood, carntyne, now thats bleak. Living brief walking distance from the whole city centre, kelvingrove park and finnieston. I'll take it. Now the G/F might not be bleak if this gives encouragement to roof this part of the M8 as recently proposed for a public realm area. This is just the right incentive for that. And good to see one of the more articulate elevations in Glasgow finding a good new use. @#1, there's a proposal to extend the Charing Cross motorway tunnel southward to create a large municipal open space which would see the motorway encapsulated below. This would run northward from Dalian house to meet the existing tunnel which begins at Sauchiehall Street below Tay House. This would make impact positively on the area but would incur significant cost which doubtless could be better spent elsewhere albeit I would welcome the proposed change. And another vacant building moves back into active use, they are becoming fewer and fewer. Good news! This was never going to be fit for offices again, far too outdated. Although had thought a budget hotel might have taken it, residential is even better. Continuing to add density of population to the urban centre is a winner. the Council should take contributions towards the motorway 'roof' scheme if they are able to support this.